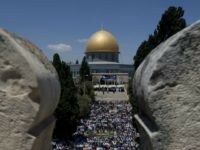 TEL AVIV – The visit of more than 1,400 Jews to the Temple Mount on Sunday to mark the Tisha B’Av fast mourning the destruction of the two Temples prompted outrage from Jordan and the Palestinians, who described the event as “settlers storming” the holy site. 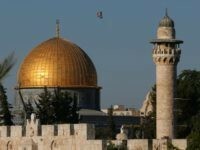 A lawmaker from the Likud party held office hours Monday outside an entrance to the Temple Mount in protest of an ongoing ban against MKs visiting the holy site in the Old City of Jerusalem, imposed by Prime Minister Benjamin Netanyahu. 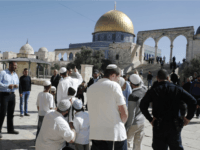 JERUSALEM – For the first time in decades, Jews ascended the Temple Mount on Monday and prayed without fear of being arrested by Muslim religious authority officials who have kept away from the site in protest over the newly installed metal detectors following Friday’s terror attack. 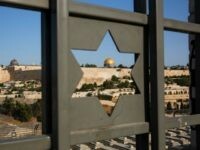 TEL AVIV – Following the Temple Mount terror attack, a longstanding ban on members of Knesset visiting the holy site is likely to be extended, an MK said Sunday. Likud MK Yehudah Glick plans to petition the High Court of Justice against the prime minister’s decision to uphold a ban against MKs visiting the Temple Mount, he announced on Wednesday. 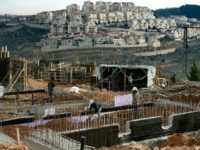 TEL AVIV – The Israeli government discriminates against Jewish visitors to the Temple Mount in order to protect their safety, Public Security Minister Gilad Erdan said Monday at the Knesset.